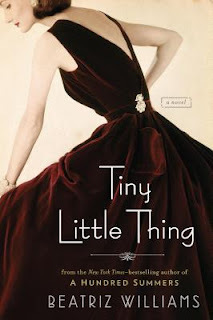 Beatriz Williams is a new author to me as is Kathleen McInerney (the reader of this the audio version). 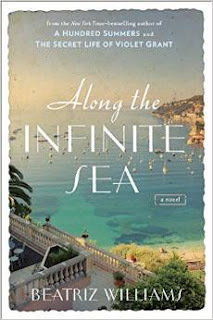 McInerney does a wonderful job here, she brings this story to life and I was not disappointed. Told in 1st person with the story weaving back and forth in time, it all began with a suitcase. 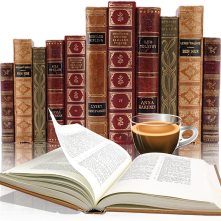 I love a longer book, when done correctly the author has time to develop characters, to create a plot without rushing and to create twists and turns not always predictable. 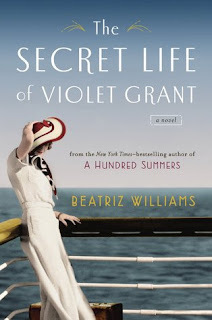 Such was the case with The Secret Life of Violet Grant. Vivian is funny, spunky and a spitfire but there is also a sensitive compassionate person, with her telling the current time period story I found it to be very entertaining. I struggled at the beginning in understanding Violet. The 1910's was a tough era for women. For Violet to leave her family, travel to Europe to study physics told me that she was a strong independent 'ahead of her time' type and I really couldn't figure out how she allowed the situation with Grant to take place. Once I got past that I enjoyed this side of the book. Also the ending was one I didn't expect, it had some twists that I didn't see coming and I love when an author does that. There are 3 sisters in the Schuyler family, with this book we see Vivian's story. You can read more of the other two in these 2 books (clicking on them will take you to their Goodreads page.